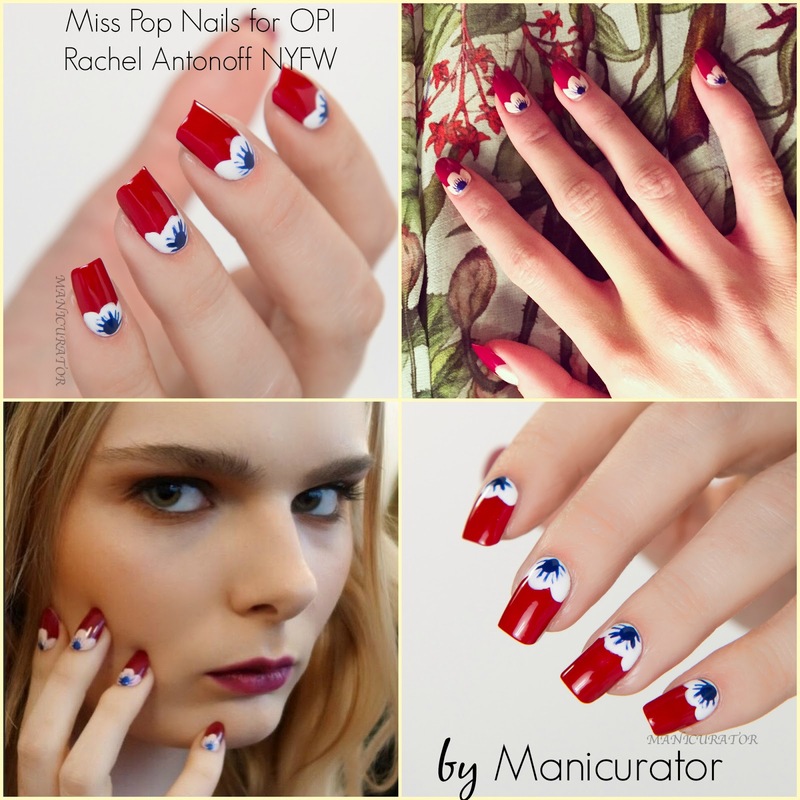 February 13, 2015 – NYC – OPI brought floral to New York Fashion Week with Rachel Antonoff at Lincoln Center with OPI’s lead nail artist Miss Pop and the OPI team of nail techs. 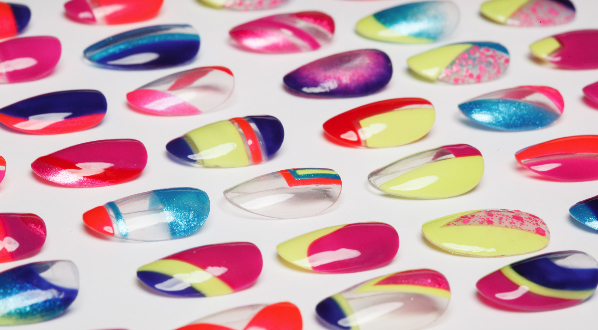 And today, I bring it to you with the final day of Nail Art Fashion Week! 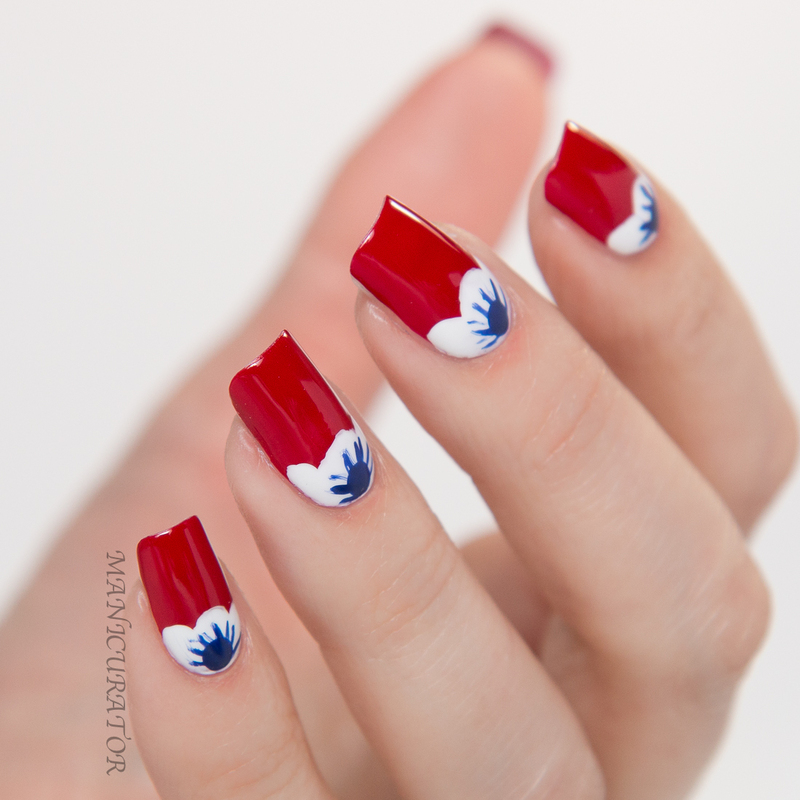 Our theme for the last day of this challenge is to recreate Fashion Week Fall 2015 Runway nail art. I chose the ever colorful and fun style of Miss Pop Nails! This one was harder to do than it looked, or maybe I'm just burnt out after a week of fashion nails, and the bug we are fighting in my house isn't helping! I think this particular design looks better on the oval tips on the runway. But I still enjoyed it! I used OPI Cinnamon Sweet, Alpine Snow and OPI...Eurso Euro! Did you catch all my designs? If not, don't worry a round up post is on the way :D Make sure to take a look at #NAFW2015 on instagram to see all the amazing designs created! 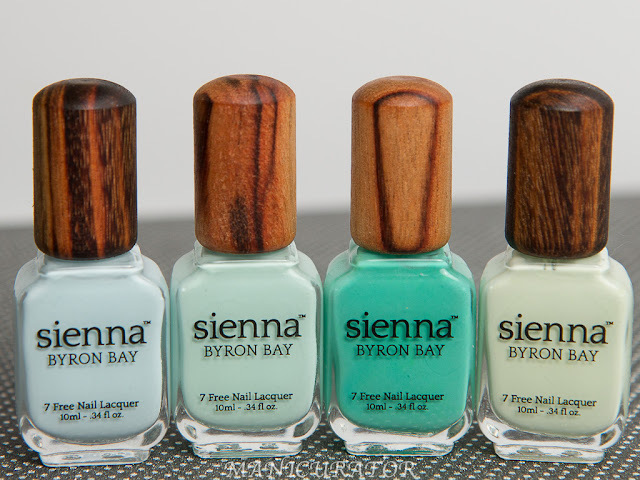 And hope to see YOUR manis when fashion week rolls into town again! Looks just like her nails! Perfect. 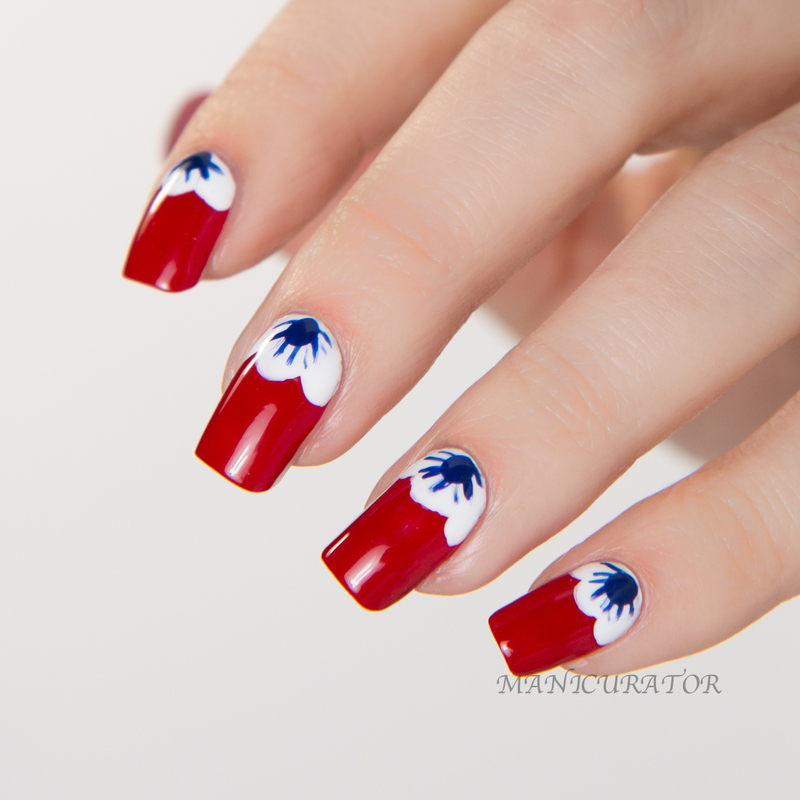 I agree the design seems to go better with oval nails but either way it's a winner! How pretty! I have loved the series of Fashion week nail art! you've done an excellent job!